I love living in Los Angeles because it is always revealing itself to you in mysterious ways. 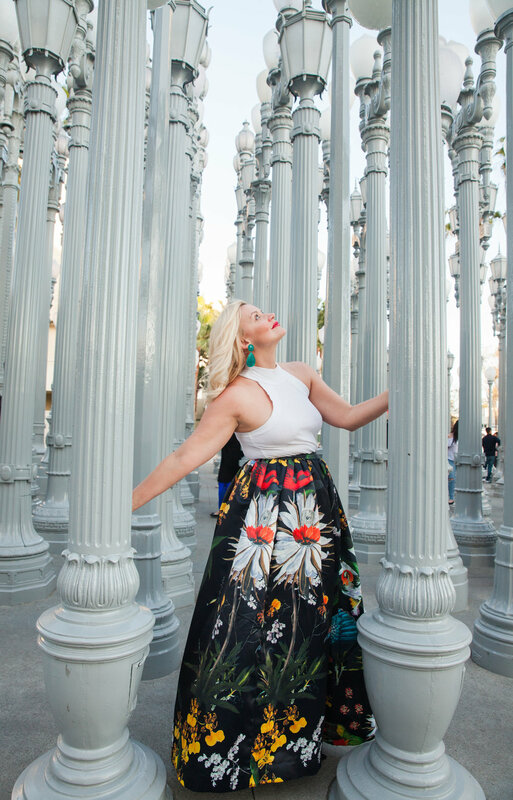 This week, I found myself Wondering around the Urban Light exhibit at the LACMA )Los Angeles County Museum of Art). The art installation is known as "Urban Light", developed by the late great Chris Burden. He assembled over 200 vintage street lights, dating back to the 1920's, and placed them in front of the largest museum in the western United States. It is a great place to go and lose yourself in his artistic masterpiece. These lights have also been in many motion pictures including "No Strings Attached", "I Am Sam", and "The Player." Wondertip: It is best to go during the week to view these lights because their is a high volume of people due to tourists. Wonderful outing on a Sunday, especially if you love modern art!